States-parties to the Biological Weapons Convention agree on a financial fix, but little else. States-parties to the Biological Weapons Convention (BWC), facing cancellation of meetings due to longstanding financial arrears by some member countries, achieved agreement on a funding mechanism that will allow them to meet and to continue paying the accord’s small secretariat staff. 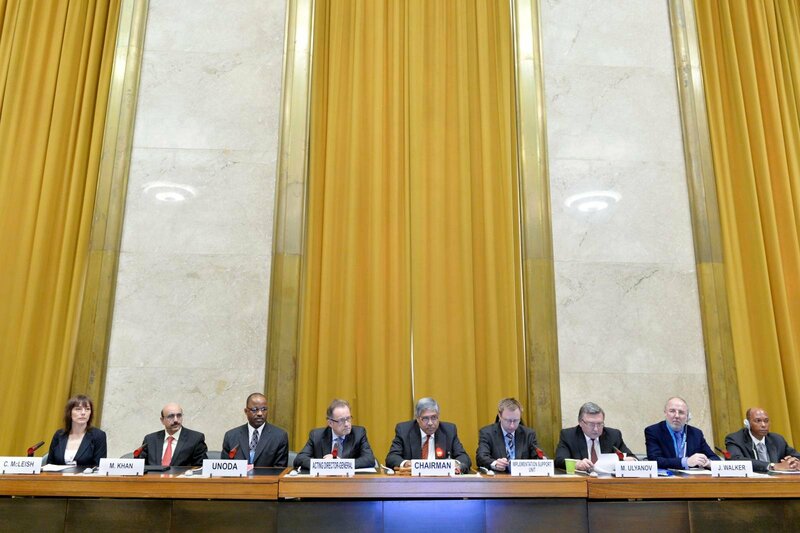 Delegates attending the meeting of states-parties in Geneva on Dec. 4–7 established a working capital fund, financed by voluntary contributions, to provide short-term financing pending receipt of contributions from member countries. Yet, despite the broad support for outcomes from the BWC experts meeting held in August, delegates did not reach consensus on measures proposed by the experts to strengthen the convention. Many delegations blamed Iran, supported by Venezuela and a few others, for the lack of consensus. There was also evident tension between the United States and Russia. 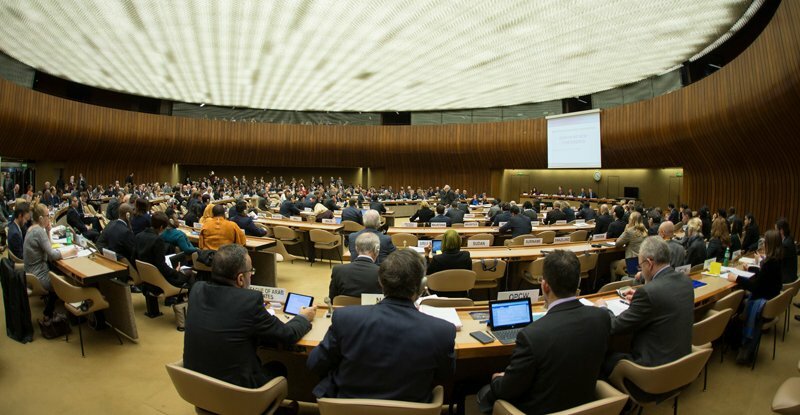 The annual meetings of experts and of states-parties will provide further opportunities for consideration of measures to strengthen the convention prior to the BWC ninth review conference in 2021. In Geneva, one day was cut from the December meeting’s planned four-day schedule due to lack of funding. The financial problems of the BWC, which outlaws biological arms, stem from some states being years late in annual payments and from slow payment by many other states, as well as from UN financial rules and practices. The United Nations now stringently requires that funding for meetings and staff contracts be received before spending is committed, rather than anticipating that funds will cover expenses as states pay later in the year, as had been the practice. Although a number of states-parties are in arrears, five of them—Brazil, Venezuela, Nigeria, Libya, and Argentina, in descending order of arrearages—account for more than three-quarters of the debt. This produced tensions in the meetings, as the nonpayers were seen to be jeopardizing the efforts of the majority who meet their financial commitments. In the report of the Geneva meeting, states-parties in arrears were requested to pay outstanding amounts, and all parties were urged to pay invoices more quickly. The working capital fund is expected to enable the BWC to hold meetings and to provide the secretariat staff, known as the Implementation Support Unit, with one-year contracts rather than the current shorter-term contracts. Nevertheless, the accumulated deficit may force some curtailment of BWC meetings planned for this year. A number of substantive topics were discussed in Geneva. For example, Russia and the United Kingdom presented a working paper and side event recommending ideas on how to respond following a BWC violation and request for assistance. Such support would include measures such as well-equipped, on-call response teams and mobile diagnostic laboratory capabilities. France and India proposed a database that, if a state-party were exposed to danger from a violation, would match requests for assistance with offers of help such as specific expertise; protection, detection, decontamination assistance; and provision of medical and other equipment. India and the United States authored a paper suggesting ways to strengthen national implementation measures with appropriate legislative, regulatory, and administrative provisions; national export controls that would penalize offenders; a list of items requiring authorization before export; and cooperative training and capacity-building activities. A Chinese initiative on a code of conduct continued to interest many states-parties, while Kazakhstan presented a working paper about a seminar it held in October on national implementation measures, cooperation, and assistance. The BWC faces evolving challenges that include scientific advances, such as gene editing, that raise new dangers if abused, while many countries believe that more should be done to improve protections against threats from naturally occurring diseases, such as Ebola, from possible covert state biological weapons programs and from terrorist groups seeking biological weapons. For its part, Russia has questioned the presence of U.S. Defense Department personnel at public health laboratories in former Soviet states, in particular at the Richard Lugar Center for Public Health Research in Georgia. Russia suggested that this center and others were producing biological weapons. In November 2018, Georgia hosted a group of international experts for a “transparency visit” to the Lugar Center to dispel Russian allegations. Such on-site visits are seen to enhance confidence in compliance. Russia and the United States have also traded charges recently at meetings of the Chemical Weapons Convention and the nuclear Nonproliferation Treaty. At the outset of the Geneva meeting, the United States refused to accept Venezuela as a vice-chair because of its humanitarian, economic and political crisis, in addition to its non-payment of dues to the BWC. As a result, the meeting proceeded “on an exceptional basis” without any vice-chairs. This upset Venezuela and a number of members of the Non-Aligned Movement. In addition, the United States challenged the status of the “State of Palestine” as a BWC state-party. A Dec. 5 statement endorsed by 15 nongovernmental organizations and 27 individuals warned that the BWC is “in a precarious state” due to the financial and political issues. Nevertheless, the group noted the substantive discussions held at the 2018 BWC experts meeting and said that states should focus on governance mechanisms to prevent scientific advances that could undermine the norm against biological weapons. The Biological Weapons Convention (BWC) currently has 182 states-parties, including Palestine, and five signatories (Egypt, Haiti, Somalia, Syria, and Tanzania). Ten states have neither signed nor ratified the BWC (Chad, Comoros, Djibouti, Eritrea, Israel, Kiribati, Micronesia, Namibia, South Sudan and Tuvalu). The BWC opened for signature on April 10, 1972 and entered into force on March 26, 1975. A country that did not ratify the BWC before it entered into force may accede to it at any time. For a guide to the terms of the convention, see The Biological Weapons Convention (BWC) at a Glance. Taiwan (the Republic of China) has also stated its intent to abide by the treaty, despite not being a state party. The Republic of China signed the treaty on April 10, 1972 and ratified it on February 9, 1973. The Biological Weapons Convention (BWC) is a legally binding treaty that outlaws biological arms. After being discussed and negotiated in the United Nations' disarmament forum starting in 1969, the BWC opened for signature on April 10, 1972, and entered into force on March 26, 1975. It currently has 182 states-parties, including Palestine, and five signatories (Egypt, Haiti, Somalia, Syria, and Tanzania). Ten states have neither signed nor ratified the BWC (Chad, Comoros, Djibouti, Eritrea, Israel, Kiribati, Micronesia, Namibia, South Sudan and Tuvalu). The convention further requires states-parties to destroy or divert to peaceful purposes the "agents, toxins, weapons, equipment, and means of delivery" described above within nine months of the convention's entry into force. The BWC does not ban the use of biological and toxin weapons but reaffirms the 1925 Geneva Protocol, which prohibits such use. It also does not ban biodefense programs. The treaty regime mandates that states-parties consult with one another and cooperate, bilaterally or multilaterally, to solve compliance concerns. It also allows states-parties to lodge a complaint with the UN Security Council if they believe other member states are violating the convention. The Security Council can investigate complaints, but this power has never been invoked. Security Council voting rules give China, France, Russia, the United Kingdom, and the United States veto power over Security Council decisions, including those to conduct BWC investigations. The BWC is a multilateral treaty of indefinite duration that is open to any country. The convention has been flagrantly violated in the past. The Soviet Union, a state-party and one of the convention's depositary states, maintained an enormous offensive biological weapons program after ratifying the BWC. Russia says that this program has been terminated, but questions remain about what happened to elements of the Soviet program. Iraq violated its commitments as a signatory state with its biological weapons program, which was uncovered by the UN Special Commission on Iraq after the Persian Gulf War. Iraq became a state-party after the war. In November 2001, the United States publicly accused Iraq, as well as member state North Korea, of breaching the convention's terms. Washington also expressed concern about compliance by Iran and Libya, which are also states-parties, and by Syria. The United States itself raised concerns in 2001 about whether some of its activities, ostensibly being conducted as part of its biodefense program, are permitted under the BWC. In 2002, Washington added Cuba, also a state-party, to its list of countries conducting activities that violate the convention. In a 2017 report on compliance with the BWC, the United States indicated that Russia was the only state to have outstanding compliance issues with the BWC. States-parties have convened a review conference about every five years to review and improve upon the treaty's implementation. Exchange data on high-containment research centers and laboratories or on centers and laboratories that specialize in permitted biological activities related to the convention. Exchange information on abnormal outbreaks of infectious diseases. Encourage the publication of biological research results related to the BWC and promote the use of knowledge gained from this research. Promote scientific contact on biological research related to the convention. Declare legislation, regulations, and "other measures" pertaining to the BWC. Declare offensive or defensive biological research and development programs in existence since January 1, 1946. These endeavors have been largely unsuccessful; the vast majority of states-parties have consistently failed to submit declarations on their activities and facilities. The 1991 review conference also tasked a group of "governmental experts" to evaluate potential verification measures for use in a future compliance protocol to the BWC. The group subsequently considered 21 such measures and submitted a report to a special conference of states-parties in 1994. Building off this report, the conference tasked a second body, known as the Ad Hoc Group, with negotiating a legally binding protocol to the BWC to strengthen the convention. The Ad Hoc Group met from January 1995 to July 2001 and aimed to finish its work before the fifth review conference, which began in November 2001. During the course of the negotiations, the group developed a protocol that envisioned states submitting to an international body declarations of treaty-relevant facilities and activities. That body would conduct routine on-site visits to declared facilities and could conduct challenge inspections of suspect facilities and activities as well. However, a number of fundamental issues—such as the scope of on-site visits and the role export controls would play in the regime—proved difficult to resolve. In March 2001, the Ad Hoc Group's chairman issued a draft protocol containing language attempting to strike a compromise on disputed issues. But in July 2001, at the Ad Hoc Group's last scheduled meeting, the United States rejected the draft and any further protocol negotiations, claiming such a protocol could not help strengthen compliance with the BWC and could hurt U.S. national security and commercial interests. The fifth BWC review conference, which many experts thought could resolve the fate of the Ad Hoc Group, was suspended on its last day, December 7, 2001, after the United States tabled a controversial proposal to terminate the Ad Hoc Group's mandate and replace it with an annual meeting of BWC states parties. The United States was the only country that favored revoking the group's mandate. The states parties resumed the fifth review conference in November 2002, but failed to agree on any verification measures, including the proposed protocol. The conference produced a list of four work programs held each successive year until the next review conference in 2011. Some issues that enjoyed broad-based support did not make it into the work program. The United States and Russia opposed proposals to reform confidence-building measures on the basis that participation in the existing mechanisms is poor. Russia was the primary factor behind bio-terrorism being dropped from the list of agenda items. States parties did agree to address the BWC’s institutional deficit through the creation of the Implementation Support Unit (ISU), which is staffed by three permanent employees based in Geneva. The permanent staff members will be paid by the BWC and will be housed in the UN Department of Disarmament Affairs in Geneva. Previously, the BWC review conference was only supported on a part-time basis. The ISU’s mandate is to provide administrative support for the BWC as well as facilitating confidence-building measures between states parties. The ISU will, among other things, serve to ease communication between states parties, as well as compile and disseminate confidence-building measures submitted from states parties. Since the conclusion of the 2006 review conference the ISU has been strengthened in terms of budget and staff. Despite initial U.S. opposition, an EU proposal to allow states parties to make additional, voluntary contributions to the ISU was accepted during the 2007 annual meeting. The United States originally objected to the proposal on the grounds that it would increase the responsibility of the ISU. However, this problem was resolved through a statement stressing that the ISU has only three staff members, and any contributions are only designed to assist the ISU in completing its mandate. During the 2008 meeting of states parties, the EU provided a $2 million dollar donation to the ISU in order to pay for two additional staff members for the following two years. The two new staff are officially assigned to the UN Office for Disarmament Affairs, to avoid any conflict over a perceived expansion of ISU. The seventh BWC review conference was held in December 2011. The Final Declaration document concluded that “under all circumstances the use of bacteriological (biological) and toxin weapons is effectively prohibited by the Convention and affirms the determination of States parties to condemn any use of biological agents or toxins other than for peaceful purposes, by anyone at any time." The eighth BWC review conference took place in November 2016. At the end of the conference, delegates agreed to a future one-week meeting of states-parties at the end of the year and a five-year extension of the BWC Implementation Support Unit. One concern is the potential abuse of gene-editing technology. The meetings of experts of states-parties to the Biological Weapons Convention (BWC) on Aug. 7–16 discussed the potential for abuse of advances in gene-editing technology, along with other issues related to the treaty that bans biological arms. The sessions in Geneva addressed sensitive issues including genome editing, benefits and risks of rapidly advancing biotechnology, a model voluntary code of conduct for biological scientists, and assistance to states-parties facing a biological attack. In the sessions on scientific and technical developments, the discussion focused for the first time in a separate agenda item on a method of editing genetic sequences known as CRISPR/Cas9 and on so-called gene drives, a method that can make a genetic modification predominate throughout populations. Such gene-editing tools can be used to benefit agriculture, the environment, and human health, although they also may be used for hostile purposes, such as in producing biological weapons. A limited number of delegations at the conference, such as Australia, Switzerland, the UK, and the United States, had the advanced technical expertise to submit papers and make presentations. Many participants noted that gene-editing techniques need to be regulated. Iran and other countries shared the concerns but also noted that Article X of the BWC calls for the exchange of information and equipment and that developing countries should not be deprived of genome-editing technology and its benefits. France and the Netherlands noted that, over the next five years, the deliberate abuse of a naturally occurring organism is more likely than the use of one that has been engineered. The meeting of experts covered other topics, including cooperation and assistance under the BWC; strengthening national implementation; assistance, response and preparedness; and institutional strengthening of the treaty. China and Pakistan presented a voluntary model code of conduct for biological scientists that drew support from many countries as a way to help to prevent abuse of biotechnology. A code would address issues such as ethical standards, research integrity, and assessment of threats to human health. In a proposal that drew considerable support, France and India called for the implementation of a database that would match aid requests with specific offers of assistance. Russia suggested providing the database with information on states-parties’ rapid response teams, which could be deployed to protect against biological weapons use. It requested the use of mobile biomedical units to provide protection, investigate the alleged use of biological weapons, and help suppress epidemics. Delegates also considered possible lessons from the Ebola outbreak in West Africa, including the effectiveness of mobile biomedical units, that could be applied to a future disease outbreak caused by the use of biological weapons. South Africa renewed its proposal that, in the event of a biological attack, a state-party has the right to seek assistance without first obtaining UN Security Council approval. Some delegations suggested that the BWC should have its own disease-response capacities, although funding for such activities is a question. A number of delegations, in particular those from nonaligned countries, support the negotiation of a legally binding verification protocol; but EU states and others promoted confidence in compliance through less formal means, such as transparency, voluntary on-site measures, peer reviews, sharing of best practices, increasing cooperation, confidence-building measures, and strengthening the UN secretary-general’s authority, known as the Secretary-General’s Mechanism, to launch investigations into the use of biological weapons. The chairman of the planned December 2018 meeting of states-parties, Ljupco Jivan Gjorgjinski of Macedonia, held consultations on the BWC’s tenuous financial situation. With some countries in arrears, he urged states-parties to make their contributions on time in order to maintain the secretariat body, known as the Implementation Support Unit. The BWC has 181 states-parties. Representatives of the nongovernmental organization community participated, presenting action points to strengthen the BWC in a joint position paper. With eight days of meetings, delegates had only one or two days to consider each topic, forgoing the usual general debate. Further, the chairman of each of the five topic groups only had time to produce a procedural report, which the states-parties adopted. Each chairman plans to draft a subsequent paper summarizing the discussions, including possible outcomes. These chairmen’s papers are to be circulated among the states-parties for comment and then submitted to the December meeting of states-parties. The same process will be followed in 2019 and 2020. The ninth review conference, to be held in 2021, will consider the outcomes of the various meetings and decide by consensus on any further actions. States-parties to the Biological Weapons Convention (BWC), meeting in Geneva on Dec. 4-8, reached a last-minute accord on a substantive three-year work program leading to the 2021 review conference. As a result, countries will continue the annual meetings of experts, called intersessionals, conducted since 2003 to consider ways to strengthen the implementation of the global ban on biological and toxin weapons and respond to current challenges. Those issues have become more pressing amid reports that countries such as North Korea, a party to the convention, may have obtained equipment and materials to conduct an advanced bioweapons program, although some experts caution this cannot be verified. Because states-parties failed to agree on such an intersessional work program at the BWC review conference a year ago, many countries anticipated that the December meeting likewise would be unable to reach consensus. Among the obstacles, Iran had insisted that states should return to negotiating a verification protocol. Those talks ended in 2001 when the United States claimed that the protocol would not strengthen BWC compliance and could harm U.S. national security and commercial interests. Other nonaligned states and China at the 2016 review conference also supported returning to protocol negotiations, but did not insist on it as a condition for intersessional work. Many countries emphasized the importance of reviewing the rapid advances in science and technology, in particular gene editing; and China, Brazil, and others supported a code of conduct and export control regime. institutional strengthening of the convention (e.g., through additional legal and other measures). At the beginning of the meeting, many countries supported a proposal from Russia, the United Kingdom, and the United States on elements for an intersessional program. This was significant because the three depositary countries had not submitted a joint document for more than 10 years due to their widely divergent views. In an effort to achieve compromise, they proposed working groups on science and technology, national implementation, international cooperation, and preparedness, response, and assistance. The groups and states-parties would meet for up to 15 days each year. Meanwhile, nonaligned countries emphasized negotiation of a verification protocol and the need for enhancing international cooperation, assistance, and exchanges in toxins, biological agents equipment, and technology (e.g., vaccines) for peaceful purposes. Some of the exchanges were rather harsh. Mohsen Naziri Asl, permanent Iranian ambassador to the UN organizations in Geneva, noted that since the protocol negotiations were “blocked” in 2001, “strengthening of the convention has yet become captive [to the] policy of one party.” He further stated that “discriminatory measures” would limit the transfer of equipment, materials, and scientific and technological knowledge, as well as the capacity for state-parties to benefit from new advances in bioscience and biotechnology. Asserting that countries needed to find some common ground in the next 48 hours or there would be no tangible work on the BWC for the next three years, he said he was prepared to seek a compromise. “Otherwise, we will have failed in our efforts, and I would very much like to avoid that,” Ulyanov said. When agreement was finally reached on the five topics, states decided that the meetings of experts and meetings of states-parties will be held for 12 days in each of the three years prior to the ninth review conference in 2021. Chairmanship of the meetings will rotate among the Western, Eastern European, and nonaligned groups of states. Each meeting of experts and meeting of states-parties will report to the review conference, which will consider future action. If the states had failed to agree on an intersessional program, there was concern that smaller groups of countries would deliberate issues outside of the BWC framework, which would diminish the convention’s relevance. Agreement to continue work in an intersessional framework is seen as recognition of the importance of keeping the 1972 BWC current. With the addition of Samoa, BWC membership totals 179 countries. Israel and Namibia, which have not signed or ratified the convention, participated in the meeting as observers, while Syria and Tanzania, which have signed but not ratified, participated without the right to vote. States-parties noted that overdue assessments and new UN financial rules have created serious difficulties for funding the meetings of the BWC and the three members of the UN staff, called the Implementation Support Unit, who face short-term contracts with no promises of renewal. The states-parties requested that the chairman of the December meeting prepare a paper on measures to ensure financial sustainability. Iran’s demands on verification talks thwart agreement on steps to strengthen biological weapons ban. The states-parties to the 1972 Biological Weapons Convention (BWC) concluded the eighth review conference by adopting a final document that fell far short of what many sought and expected. Most of the participating countries viewed the results as a missed opportunity to advance measures to strengthen the legally binding accord that bans development, acquisition, and production of biological agents or toxins for possible weapons use. After a successful preparatory commission meeting in August, the delegates in Geneva were well positioned to reach an agreement setting out a dynamic work program for the week-long meetings, called intersessionals, to be held annually during the five years before the next review conference. However they found themselves mired in debate over how to move forward in an age of rapidly advancing technological change. Iran and some in the Non-Aligned Movement (NAM) insisted on a return to negotiations on a protocol to the convention, while other countries, in particular the United States and the United Kingdom, stressed the need for focused intersessional work with the participation of experts to keep the accord relevant. In the end, following three weeks of talks, the delegates adopted a final document Nov. 25 that essentially echoed the concluding document from the prior review conference, held in 2011, without including any of the key initiatives proposed for follow-on consideration at the intersessionals. In fact, the delegates did not even agree to hold such annual meetings, although they have been routine since 2002. There was no shortage of ideas that would have benefited all countries. For instance, the United States and Russia, as well as Iran, the Nordic countries, Switzerland, and the United Kingdom, offered proposals for forming a scientific and technical body to assess the impact of rapid advances in biotechnology, such as the gene editing technology known as CRISPR, that could be abused to enhance the pathogenicity of a biological warfare agent. The proposals had much in common, with the key difference being the body’s composition, as the Russian proposal envisioned limited membership based on geographical representation while other proposals favored open membership for experts from all interested states-parties. One of the perennial areas of contention is the view among the NAM countries that developed countries bear special responsibility under the BWC to promote international cooperation that benefits developing countries harmed by Western export controls. They see a need to strengthen cooperation to bridge the gap between developed and developing countries in biotechnology, genetic engineering, microbiology, and related areas. Western countries point to their extensive cooperation programs and contend that very few biological exports have been denied. The NAM countries suggested filling this perceived gap by creating a committee to monitor and review international cooperation and assistance activities related to the use of microorganisms and toxins for peaceful purposes. Further, the committee could provide a mechanism to adjudicate complaints about export denials and to enhance confidence building among states-parties. China and Pakistan, supported by Russia and the NAM countries, proposed establishing an export control regime because they view the 42-member Australia Group as an exclusive club that discriminates against nonmembers. Members of the Australia Group, which aims to prevent exports from contributing to biological or chemical weapons development, do not consider their group discriminatory and would not agree to the proposal. India and the United States proposed that states seek to agree on key features of a national export regime. This was the first time the United States and India submitted a joint proposal and marks a significant change in their relationship. Such national legislation would include penalties for violations, a list of items requiring authorization prior to export, a national licensing system, export control guidelines, and criteria for transfers to limit the risks of proliferation of biological weapons by states or nonstate actors, including terrorist groups. Other ideas included a French-Indian proposal to establish a database that would match countries’ specific offers to requests for assistance in the event of a biological attack. Other initiatives would strengthen response to the outbreak of disease. For instance, Russia proposed a working group on establishing mobile biomedical units to respond to natural epidemics or an outbreak due to use of a biological weapon. The United States, UK, and others found this unfeasible, but were willing to consider it to arrive at consensus. In connection with a long-standing issue of instituting national implementation measures, the United States pointed out that a quarter of the states-parties do not have national laws prohibiting the development or production of biological weapon and one-third have no laws prohibiting their possession or transfer. Accordingly, there was a proposal for a working group on domestic law measures. China and Pakistan proposed the creation of a model, voluntary code of conduct for biological scientists that would study the ethical and moral risks of bioscience and technology and evaluate the risk of the possible threats emerging from bioresearch. This idea drew broad support. One overriding contentious issue emphasized by the nonaligned states, Iran in particular, was the negotiation of a legally binding mechanism to ensure the implementation of all provisions of the convention. This harkens back to the 2001 breakdown of negotiations over the BWC protocol. When the convention was concluded in 1971, it did not include an effective compliance mechanism. Since then, states-parties have attempted to rectify this primarily through verification protocol negotiations from 1995 to 2001, when the United States brought it to an end because it considered the provisions ineffective. Although some countries advocate resuming such negotiations, they nevertheless have agreed since 2002 to proceed with intersessional examination of subjects such as biosafety and biosecurity, codes of conduct, research oversight, DNA analysis, and advances in production and delivery technologies of biological agents and toxins. This year, however, Iran refused to consider anything else without agreement on resuming verification negotiations. Some experts believe that Iran’s strategy was linked to the continued imposition of sanctions related to its nuclear program and the perception that it could stand up to the West. Although Russia and others also called for legally binding measures, particularly on verification, they were open to considering other options for building confidence in compliance. Moshen Naziri Asl, Iranian ambassador to UN organizations in Geneva, said, “[A]fter the failure of reaching an agreement on the protocol in 2001, states-parties agreed to having an intersessional program as an interim recipe for surpassing” the stalemate. That arrangement “was not supposed to replace the protocol,” he said. There is another chance to reach agreement on an intersessional program of work at the meeting of states-parties in December 2017. 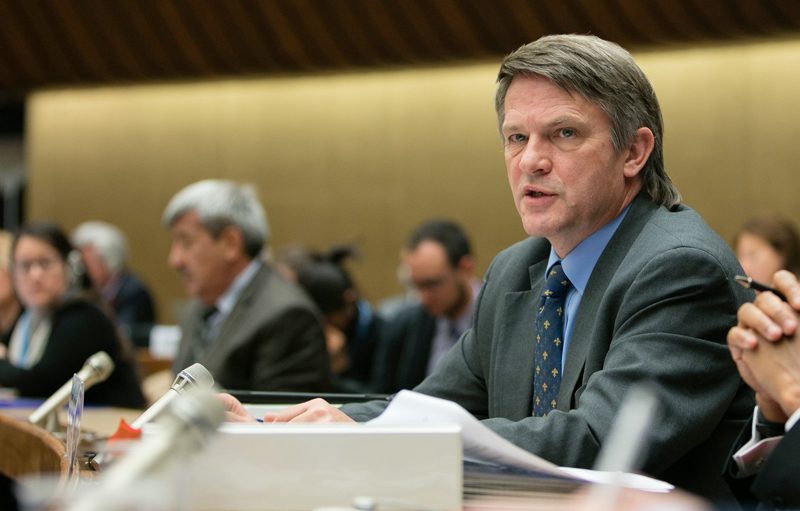 An April preparatory committee meeting in Geneva addressed primarily procedural topics and heard new pledges of support as countries readied for the upcoming quinquennial review conference of the Biological Weapons Convention (BWC). States will meet again Aug. 8-12 to consider more-substantive topics before the convention’s Nov. 7-25 eighth review conference. The participants at the April 26-27 meeting elected György Molnár, ambassador of Hungary, to serve as chairman of the committee and recommended him as president of the November review conference, following his recommendation for the position at the December 2015 annual meeting of states-parties. (See ACT, January/February 2016.) Participants reached an understanding on a provisional agenda, which is slated to be adopted in August. Surrounding the meeting, states-parties submitted 13 proposals in the form of working papers on ways to strengthen the BWC, among other topics. On April 27, Molnár stated that the session had laid the groundwork for substantive discussions on the states-parties proposals, according to a media update from the UN Office for Disarmament Affairs (UNODA). More proposals are expected before the August preparatory meeting, according to a UNODA political affairs officer who spoke with Arms Control Today in a May 20 phone interview. Also at the April preparatory meeting, the European Union pledged to provide an addition 2.3 million euros to six BWC projects over the next three years. In the past 10 years, the EU has contributed more than 6.3 million euros to the “universalisation and strengthening of the BWC,” according to a May 5 update from the UN. The funds will support the promotion of universal adherence to the BWC, developing national capacities for implementation, enhancing interaction with the nongovernmental scientific community, and strengthening the UN secretary-general’s mechanism for investigating alleged use of chemical and biological weapons, the official told ACT. Some of the funding will also support four regional workshops that will be held from June through September in Brazil, Ethiopia (hosted by the African Union), India, and Kazakhstan. 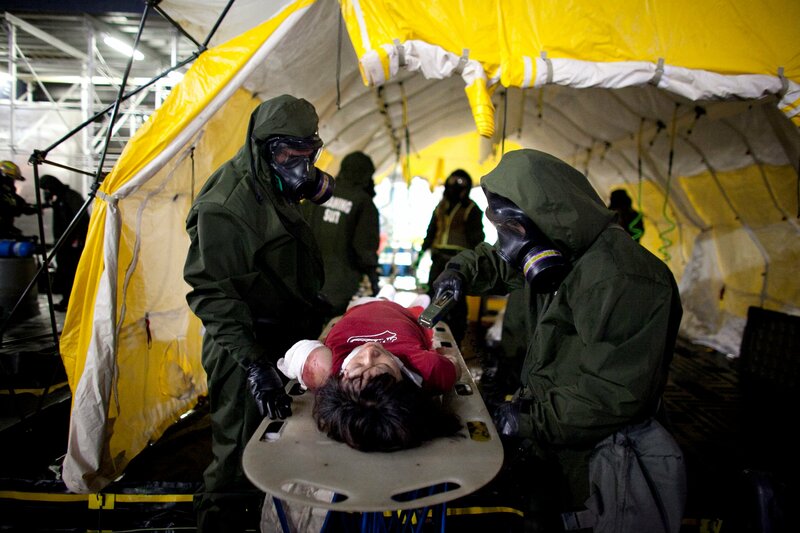 A December meeting on controlling the spread of biological weapons left several country representatives and independent observers expressing low expectations for a major conference later this year while noting that the recent meeting had achieved some important but minimal goals. Participants in the annual meeting of states-parties to the 1972 Biological Weapons Convention (BWC) in Geneva agreed to a final document, a result that reportedly was uncertain until the end of the Dec. 14-18 gathering. The parties also set the dates for the upcoming BWC review conference and its preparatory meetings. BWC review conferences take place at five-year intervals. 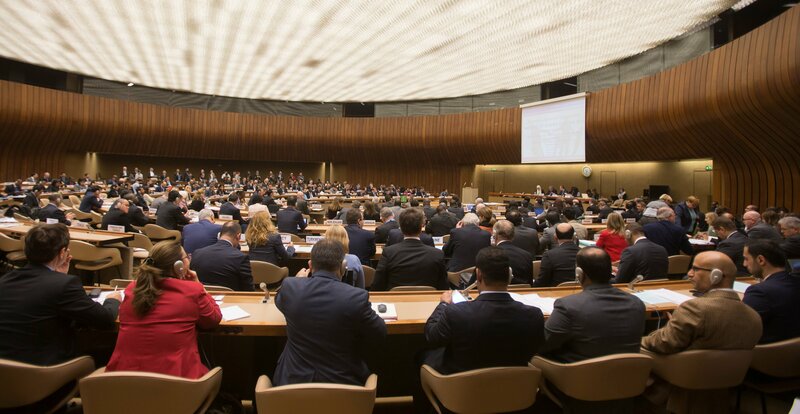 This year’s review conference is scheduled for Nov. 7-25, with preparatory meetings for “up to two days” April 26-27 and then Aug. 8-12, all in Geneva. The participants also named György Molnár of Hungary as president of the review conference and chairman of the preparatory committee. According to the representatives and observers, settling on the amount of time was difficult as many countries argued for two weeks of preparation to increase the chances that the November review conference would be productive. The United States was one of the countries advocating the longer preparation period. In a Dec. 23 interview, a State Department official who attended the December meeting said the final report, although “not quite what we wanted,” was “positive” in that it represents an increase over the four days allotted to the 2011 review conference’s preparations. The only real opposition to having two full weeks of preparatory meetings at the December meeting was from Cuba and Iran, which were able to gain some sympathy from smaller countries with the argument that they could not devote the additional time and money to send delegations for the longer preparatory meetings, he said. In a statement on the conference’s first day, Robert Wood, the U.S. special representative for BWC issues, lamented that, “every December [at the annual meetings of BWC parties], we adopt a report that consists mostly of recycled material and broad generalities.” The parties “need to do better” and “do not have to revert to old habits,” he said. But the State Department official said the conference had met only the “minimal requirements” of Wood’s exhortation. The conference report is “unambitious,” he said, noting that, for many of the BWC’s substantive points, it says only that the parties agree on “the value” of certain issues and approaches without giving direction on a specific course. A number of delegations offered suggestions for improving the process. The United States submitted a list of proposals that were part of what it called a “realistic agenda” for the upcoming review conference. These included increasing the authority of the annual meetings to make decisions rather than leaving virtually all substantive decisions to the review conferences and strengthening the Implementation Support Unit, the three-person secretariat that provides institutional support to BWC parties. Armenia, Belarus, China, and Russia submitted a document proposing “a legally binding instrument” covering issues such as “the incorporation of existing and potentially further enhanced confidence building and transparency measures, as appropriate, into the [BWC] regime”; measures for addressing relevant developments in science and technology; measures for assistance and protection, based on the treaty’s Article VII, to treaty parties in fending off biological weapons attacks; and measures for strengthening peaceful cooperation under Article X. Notably absent from the proposal was any provision on verification, which has been a focus of Russian efforts in the past. The BWC, unlike the nuclear Nonproliferation Treaty and the Chemical Weapons Convention, does not have an international organization to verify that parties are complying with the treaty. Talks on a verification mechanism collapsed in 2001 after the Bush administration rejected a draft protocol. The Obama administration has said that effective verification under the treaty is impossible and has made clear that it will not seek to revive the talks on a compliance protocol. In a Dec. 24 email to Arms Control Today, a Russian official who attended the Geneva meeting said that “Russia remains committed to a multilaterally negotiated verification mechanism for the BWC.” He cited a statement last October to the UN General Assembly First Committee by the so-called BRICS countries—Brazil, Russia, India, China, and South Africa. But recognizing the differing views among BWC parties on verification, the current proposal was drafted to be “as comprehensive as politically possible at this moment” and “is feasible from a practical standpoint,” he said. He characterized the proposal as “a third way” that “may bridge a divide between the NAM [Non-Aligned Movement] and the Western group,” two of the key blocs at the BWC conference and other international meetings. “Removing verification from our negotiations proposal was a difficult choice to make[,] but we did it in the hope of achieving a very [much] needed breakthrough,” the Russian official said. The U.S. official said he accepted that “some things” in the Russian-led proposal are “worth attention” but not by means of a legally binding mechanism. A negative aspect of the meeting was the contentious “political dynamics” between different blocs of countries, the U.S. official said. Disagreements in such meetings often fall along “North-South” lines—that is, between affluent countries and developing countries, particularly those in the NAM. At this meeting, the official said, there also was a strong “East-West” element, citing sharply anti-U.S. statements from Russia. Nevertheless, as the official noted, there were some areas of agreement between blocs. India and the United States jointly issued a working paper on strengthening the implementation of Article III, which bans transfers or other assistance for biological weapons programs. The U.S. official also approvingly cited a South African paper, issued during the BWC experts meeting last August, on assistance under Article VII. India and South Africa are NAM members. Overall, the U.S. official said, it is “hard to be overly optimistic” about the upcoming review conference in light of the rifts between blocs. Because the conference makes decisions by consensus, “any naysayer can prevent almost anything,” he said.